Entertainment and talent are huge gifts to the spirit of man kind, so when you are privileged to be offered the viewing of a live artistic piece, step forward as you have accepted a ticket to go on a journey with the artists as they draw you in. Transported to a realm where you will be memorized by their keenly timed abilities. If you are open you will be moved to the core of your self. To be dusted in goose bumps our role as audience is just as important as the act and yet we are left filled with so much more. We walk away from the experience emotionally charged with much to say, we are now inspired, we are not the same. May I introduce to you and for your viewing pleasures, Circus of Hell. 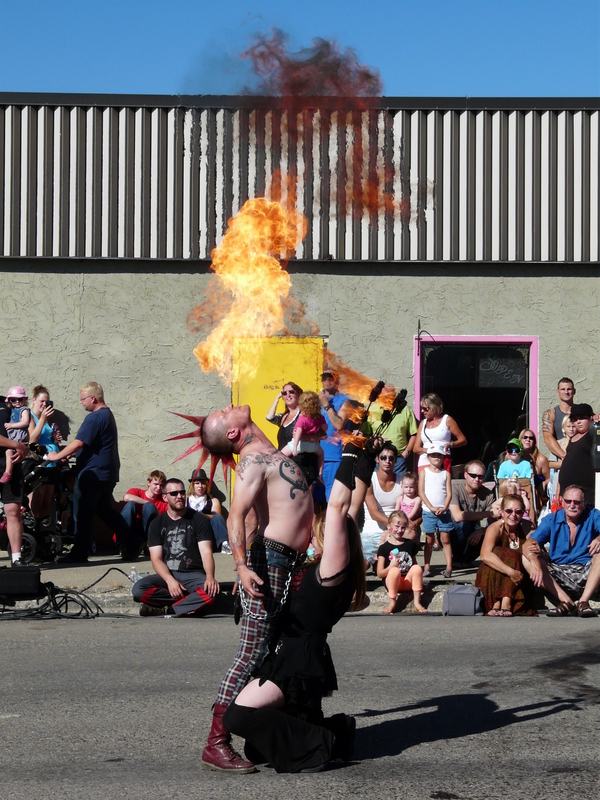 Circus of Hell is a travelling multi dimensional act that includes, choreographed dance with props lit on fire, fire breathing, dancing, great music and fire..
Did I mention, FIRE..?! Wooo Hoooo…! 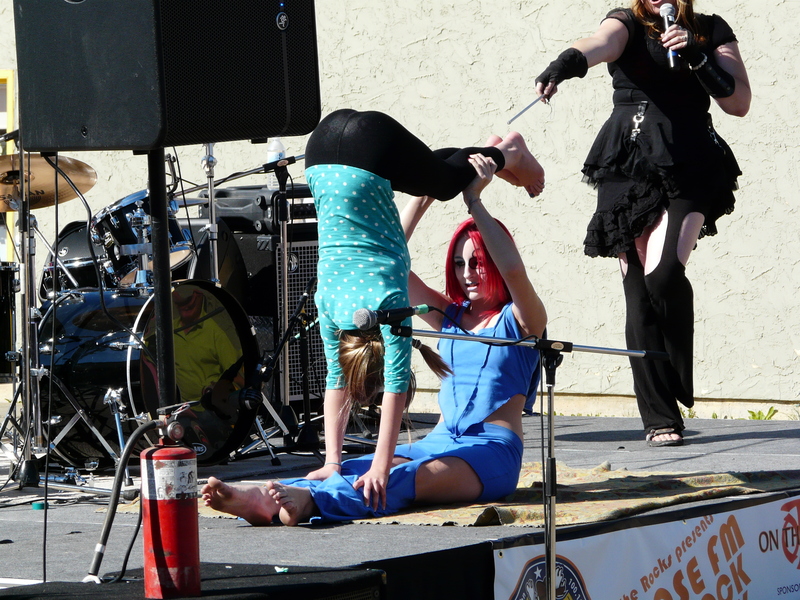 The show I watched in person was the family circus act, the four member troop was Aurora being the youngest member, she performed a contortion act that made me question if her back was really made of bone. 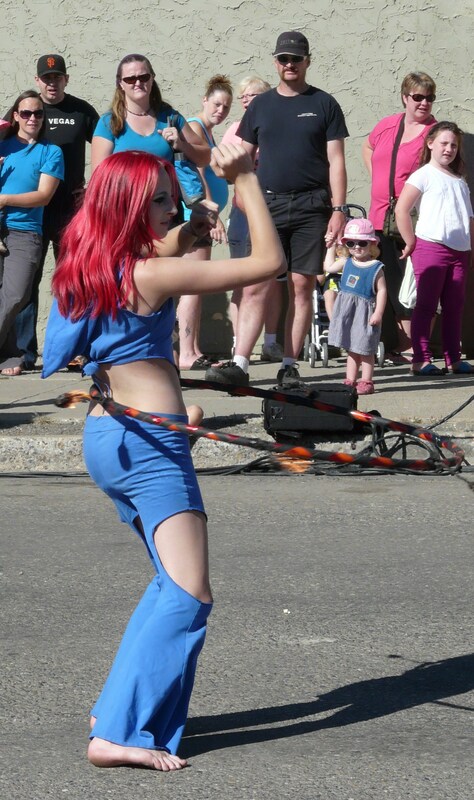 Older sister Trinity with her gorgeous red hair did an amazing hooping piece that ends with her spinning a hoop that is on fire..!! Let me tell you this family likes to keep it hot. 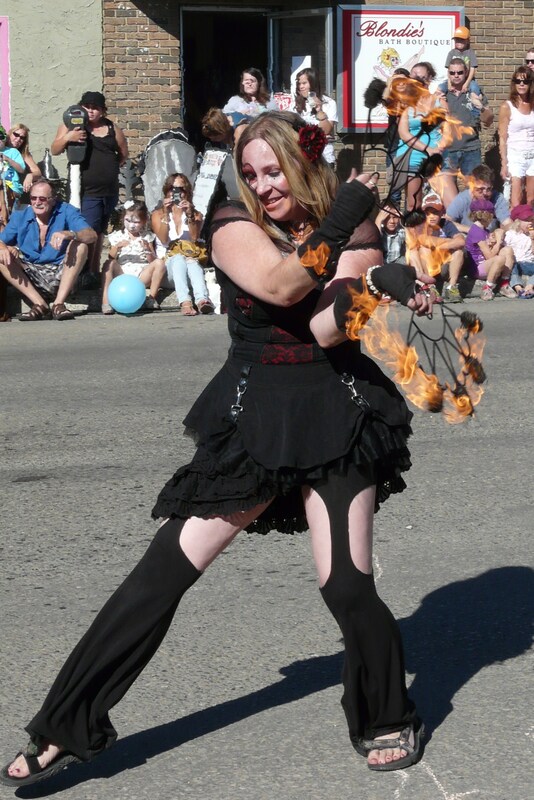 Susan was the MC for the group as well she performed a beautiful dance with what I can only explain as fire fans. Susan is also a known as Sisu Belly Dancer and I loved her soft movement as she well timed her enchanting and seducing performance. Last and certainly not least is Doug, he cannot be forgotten as the image of the 6 foot flame shooting from his mouth is still burned in my minds eye. 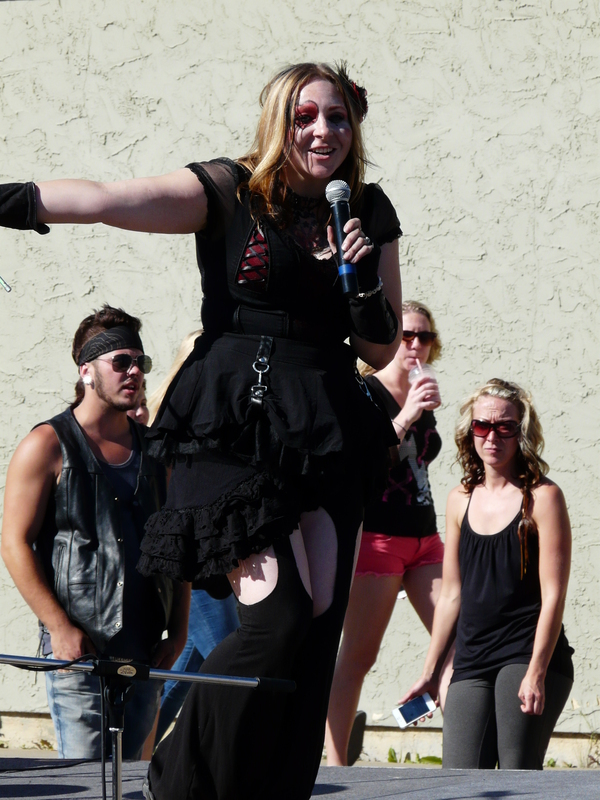 The group can vary in their size/amount of members based on the location and the performance. 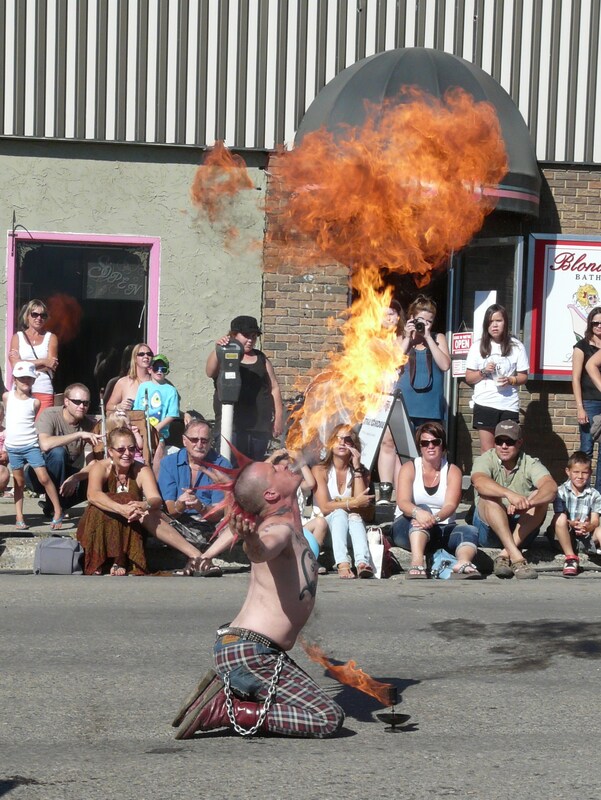 Circus of Hell is based out of North Western Alberta and are assessable and a unique touch to any venue. 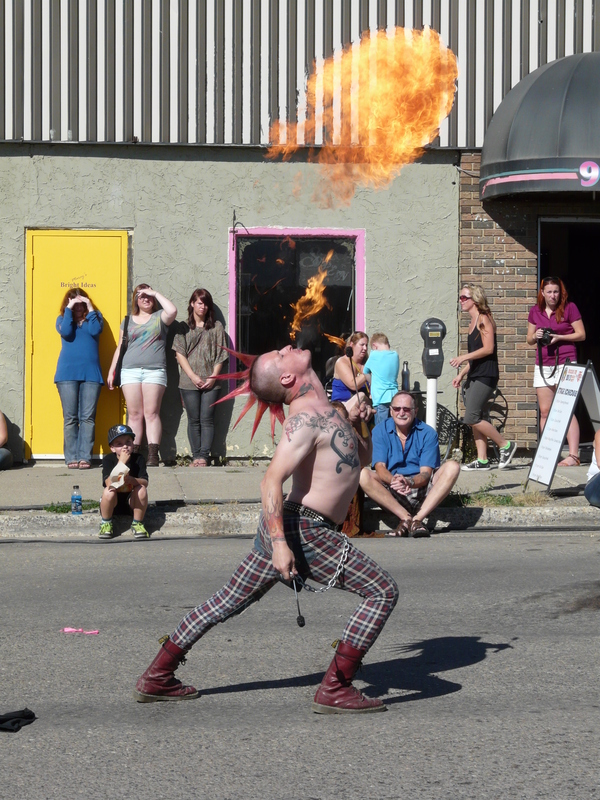 I love that their acts are constantly evolving and really trying to keep up their education and skills through networking with other fire performers as well as promoting and supporting each other. From what I saw it is like a warm family, everyone is truly there for the love of the performance and the craft. The family are great spirited people and are professional in their presentation and work performance. If you are looking for something different for a unique spin to an upcoming event I would not hesitate in calling Circus of Hell. If you’re not in the area it is well worth checking out the FB Page for the Circus of Hell and following what they are getting up to. I know I will go out of my way to catch another show and maybe next time I will be able to see them perform at night. Their UTube vid in the dark is very cool – or should I say hot.